The group looked at the worker, then towards the hatch, then to each other and quickly did the math. They would either need to spend another 100s of hours getting a scuff guard designed, approved, material sourced, manufactured, engineered to weight and durability standards, recheck the cars balance, and then run the finished product through finance to see whether or not the cost of the new part with fewer slats was accepted. If it failed at any time in that process then they would need to start over again. Thus, the collective kept quiet and let the guard make it through production knowing that they would just redo it when they started work on the 982 the Tuesday after the 981 was launched. But for now, they decided to leave the design as a practical joke. Get it?! 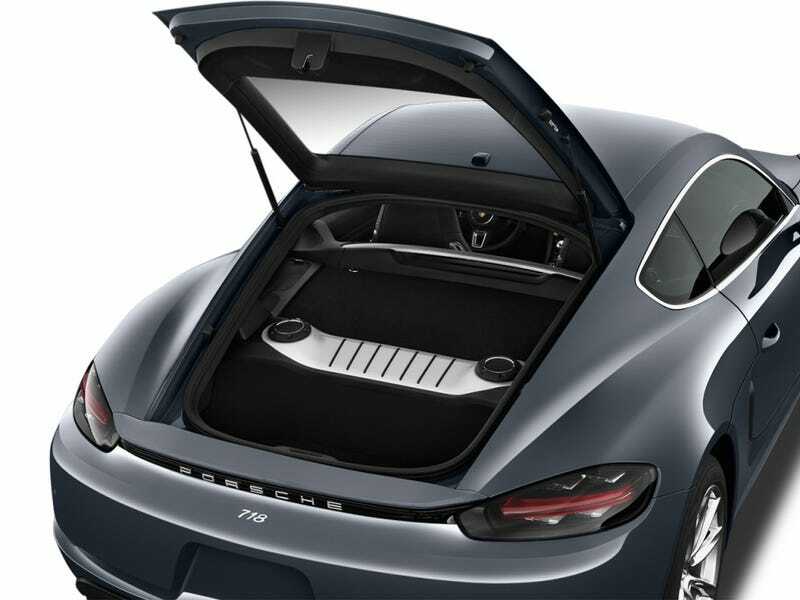 It’s a joke in the most practical area of the Cayman that came from making the car more practical! Zezeze!!! Side note, I had no idea that the 718 was being called a 982. I just assumed it was a 981.2. I’m genuinely a bit upset now. I feel like Porsche cut the generation halfway through its life cycle due to so many changes including branding and powertrains. Ferrari has been doing the same. I feel like the refresh, which we will probably see in 2020, is going to feel and look like a new car. I bet there will be a third update in 2022/23 without the generation changing. Hopefully the 992 will continue the tradition of Porsche ruining the 911 and making it better in every way than the last generation (991) but worse in every way compared to two generations (997) prior. It’s going to be fantastic! The thing has been driving around seemingly production ready since like 2016.